We are happy to announce a new UTT track named Rambozo’s Revenge. This new track requires 5 gates and 5 flags, a departure from previous UTT tracks. With many chapters owning both gates and flags, we felt it was the right time to introduce flags on the UTT tracks. This will allow us to create more varied and interesting tracks. We agree that this track is a ton of fun to fly and incorporates elements like: the flag slalom, corkscrew and various altitude changes throughout the track. Another common request we received was for the addition of fastest 3 consecutive lap leaderboards. 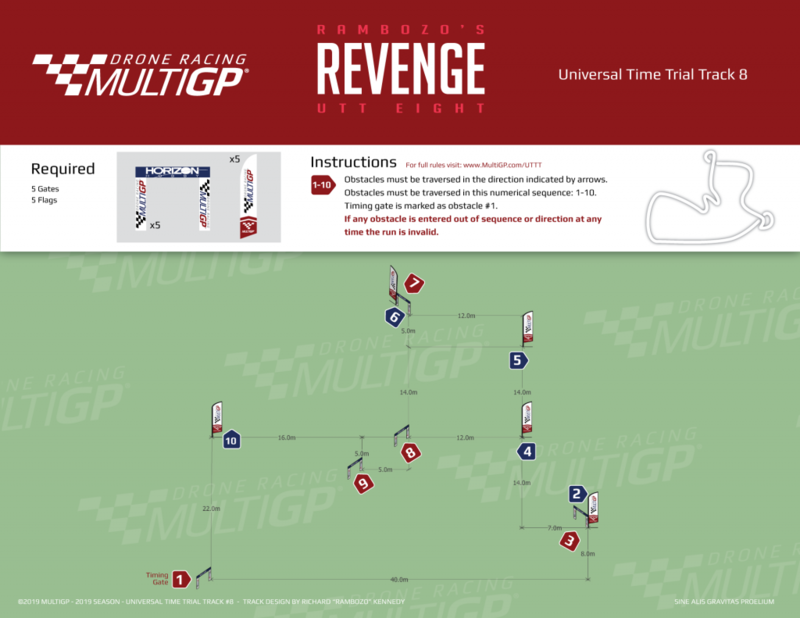 Today you can submit 3 consecutive lap times for all the existing UTT tracks. You can find the new leaderboards under the “Leaderboards” menu. It is now grouped by single lap or 3 lap leaderboards.